“In The Office” is a captain and professionally maintained 310 Sundancer known for her luxury, elegance, and modern style cruising. Twin 5.7 MerCruiser’s pushing 300HP gives you plenty of power for maneuvering and running either to the beach or the restaurants. Step down into the salon and the first thing you notice is the cherry wood finish cabinetry making you feel right at home. Capable of sleeping 6 comfortably with her V-berth, Mid-berth, and lounge that pulls out to a double berth. Raymarine electronics across the helm gives you clear-as-day navigation. You have a stunning aft deck lounge with a wet bar for entertaining guests. This 310 Sundancer is turn key and ready to go! Call today and book your private showing. 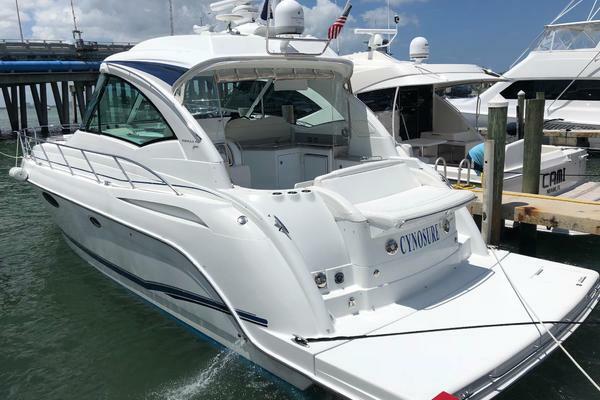 West Florida Yachts would love to guide you through a personal showing of this 31' Sea Ray 310 Sundancer 2008. This yacht for sale is located in Delray Beach, Florida and priced at $89,900. For a showing please contact us by filling out the form on this page and we will get back to you shortly!